There have been 200 images uploaded to this topic. (View topic image gallery). There are 731 posts in this topic. You are on page 15 of 15. NO NO, you cannot do that. See the installation guide in post #458 please!!!!!! Ok, if I follow the instructions on post #458 it will act as the eddy board though? Ok, that's all I needed to know. I need a new auto eddy board then I believe. Finally got around to taking some pics of the Leon board. I already had the GLM opto board and it appears to be working correctly. 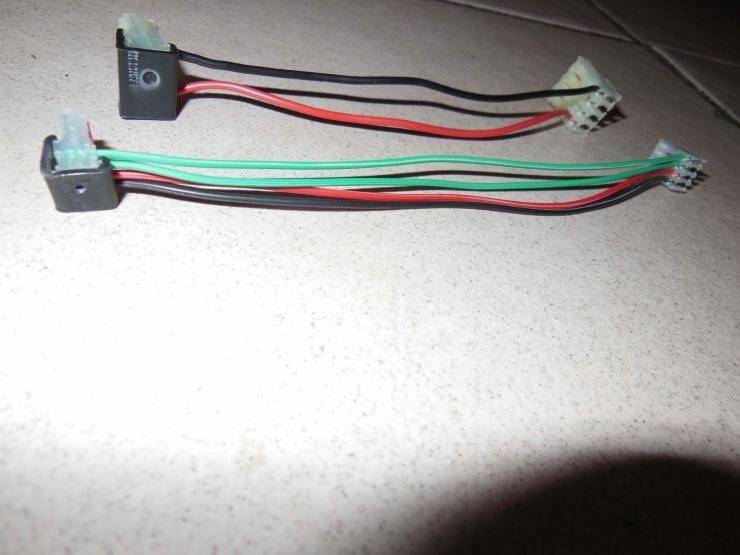 Checked the connections from the Leon board to the power motor board and the pinbits new eddy board I have and they look fine. Even took out the motor and cleaned and regreased ( Had a new motor as well). I am still getting the trunk to stop sometimes and it wont resolve unless I reboot the game. 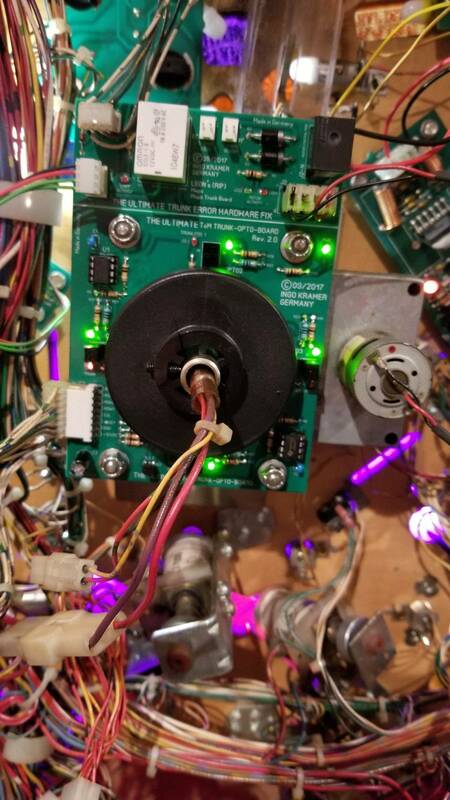 Could it be a bad GLM opto board? Should I buy the Leon board to go with the Leon addon board? Ideas? A little off topic, but is Pinbits out of business? 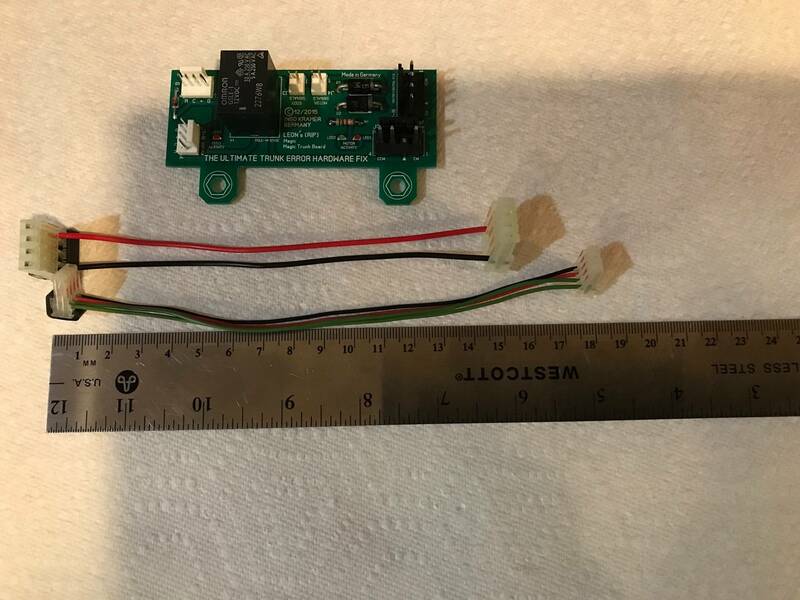 I've been trying to contact them about a new Eddy board and have been getting zero response. I think mine is taking false hits when the trunk turns around for multi-ball. 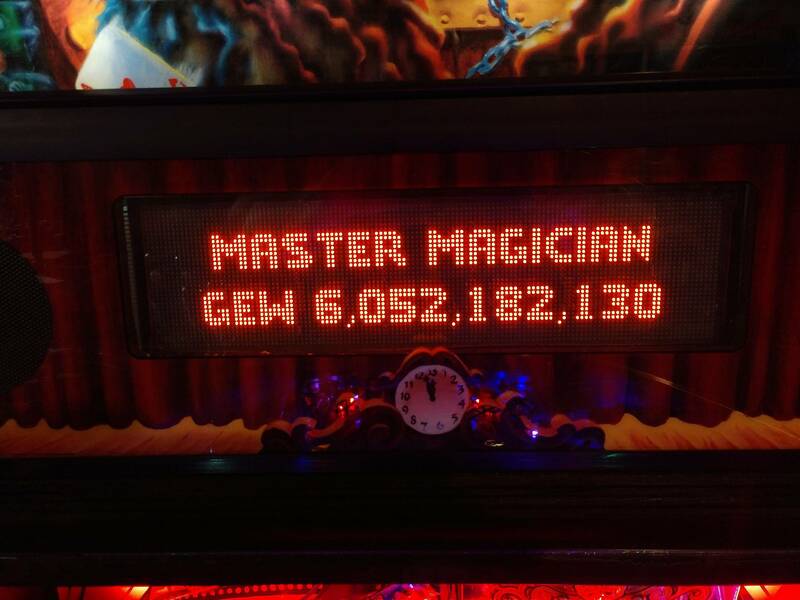 Did you check the optos om the GLM-Board? The board has controll-LEDs, are these working?? All I can offer you, is to send you my combo-board and you test it with my board. What a great offer from German-Pinball. You never go wrong dealing with Ingo. That is a great offer,but doesnt seen fair to you. What is the cost of your board Ingo? No problem for me. My costs would only be the shipping costs, if you send the board back; your risk would only be the costs for sending the board back. 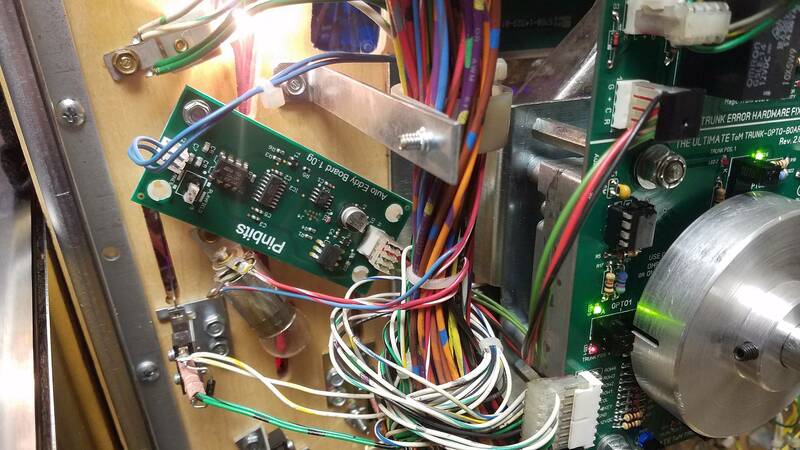 You can test with my combo-board extensivly and you know, if the fault is with your GLM board or with the eddy-board. Well lets give it a try and hopefully it works and I'll send you payment. I appreciate you and I am hopeful this will work otherwise I have no clue. Trunk Eddy boards are back in stock at Pinbits if anyone here needs one. 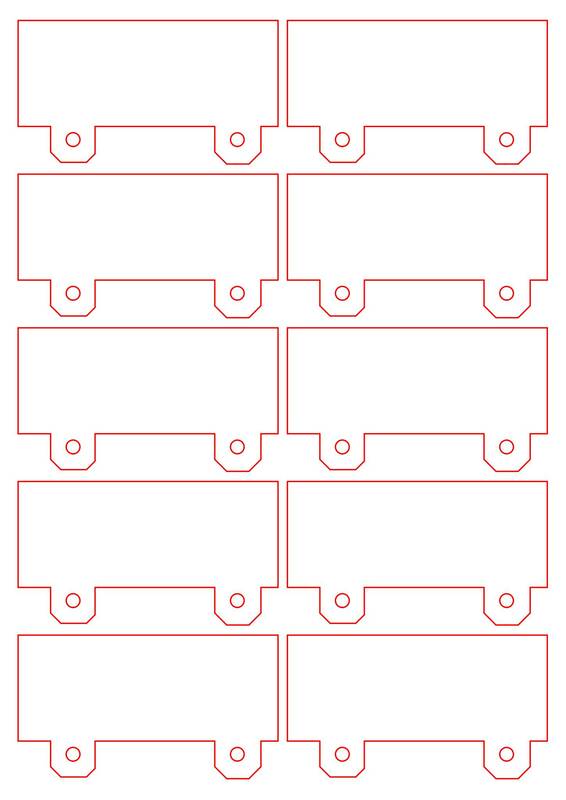 I've got one ordered as well as a Trunk board from Ingo. It will be nice not having to mess with the Trunk after every handful of plays. Most of the time you can just solder a new pot on the board and that takes care of that problem. I did mine and they work great now, cost about $1.68 per board. Anybody here, who could do me a big favour please - I need your help. I have lost the mold, with that I cut the length of the 2 cables, I provide with my board. I also did not document the length. Could anybody, who bought my board please measure the lenght and tell me the result in cm please. 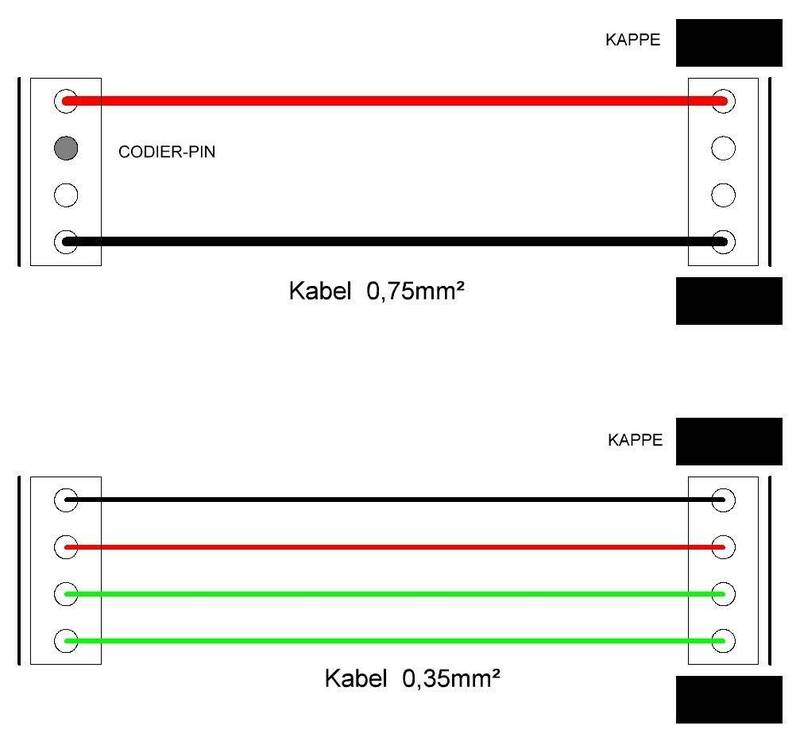 Looks like the shorter 2 wire cable is 15.5 cm and the 4 wire cable is 18 cm. That is from end of wire to end of wire. A Smart eddy board is available from http://tanglestech.com. It is suitable for use on the out-lanes and the trunk. You might also be getting noise from the motor interfering with the eddy. 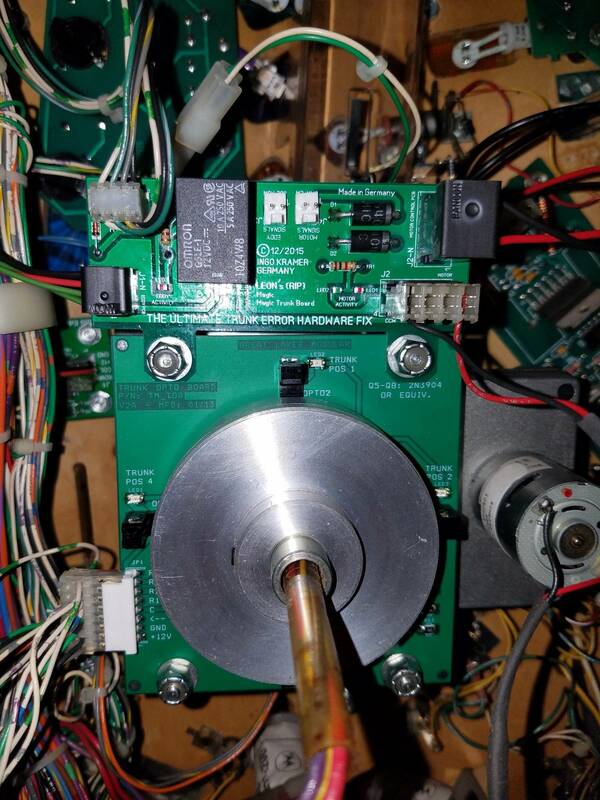 There is also a redesigned motor controller board with improved noise suppression. 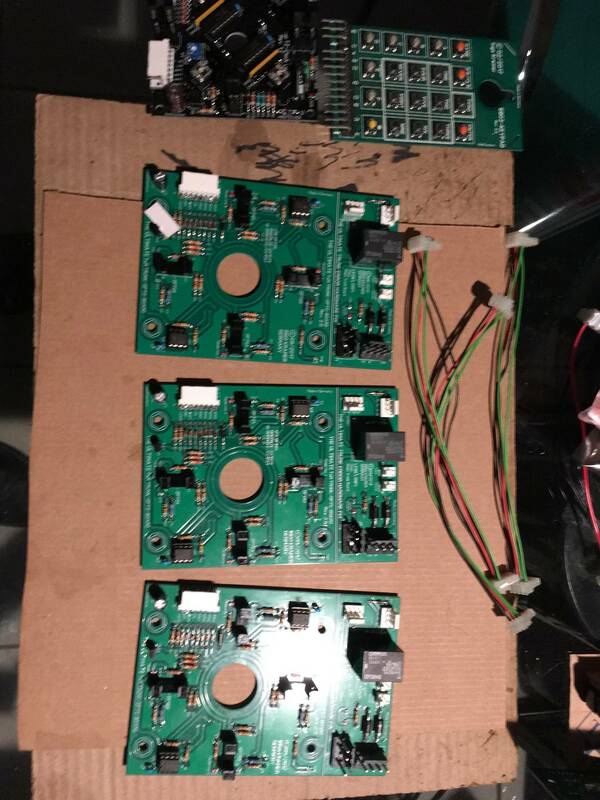 Yesterday I have soldered 3 new boards. Price is 70,00 USD including shipping worldwide. Next month, the board will become a bit more expensive, as the prices for the wide-slot optos raised much. Take the chance now ... simply send me PM. 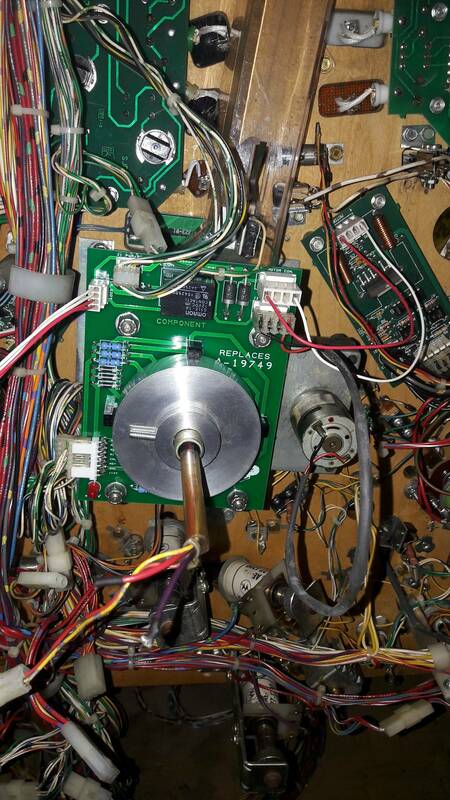 I have just finished a playfield swap on my TOM and I have just ordered one of these boards. Nothing worse than being in the middle of a monster scoring game and the trunk locking up. This board is a must for all TOM owners. The big optos and robust build should give trouble free game play. 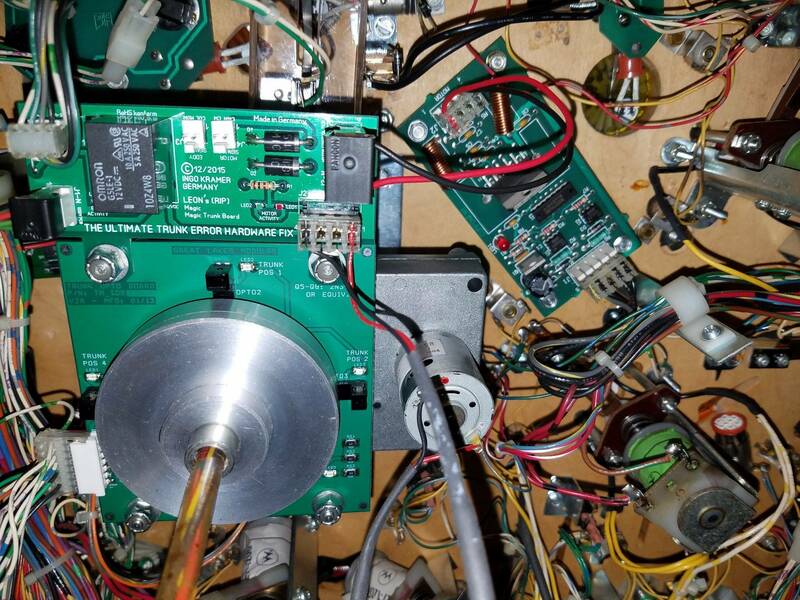 Great stuff Ingo, and if it is anything like your TZ clock board it will run trouble free. Just ordered one of Ingo's TOM Opto boards! Cant wait to get it, looks like a very well designed solution. Thanks Ingo! My board arrived yesterday, and I got to finally play a faultless game on my TOM. Its probably the first time where the trunk has not locked up. How good is it when this beautiful game plays as it was intended to. 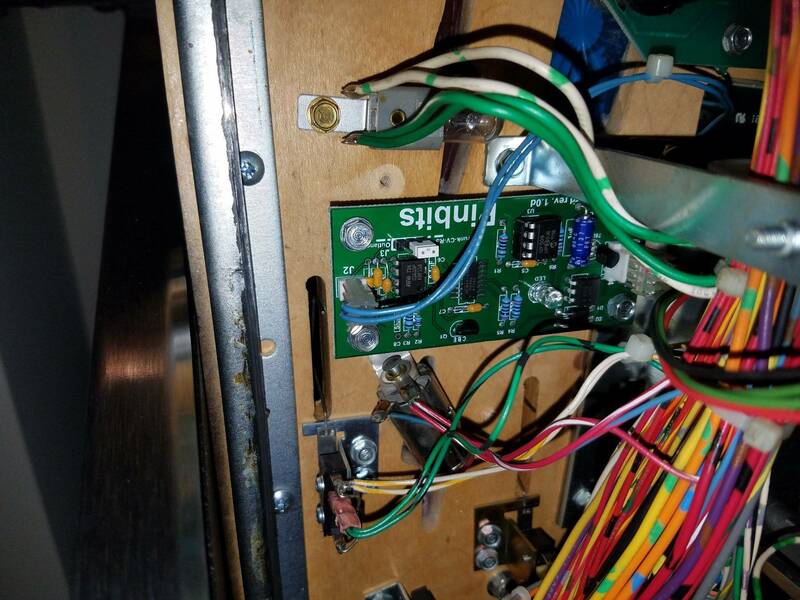 Bravo Ingo, this trunk board has solved a long time fault and added the icing on a Popa gem. 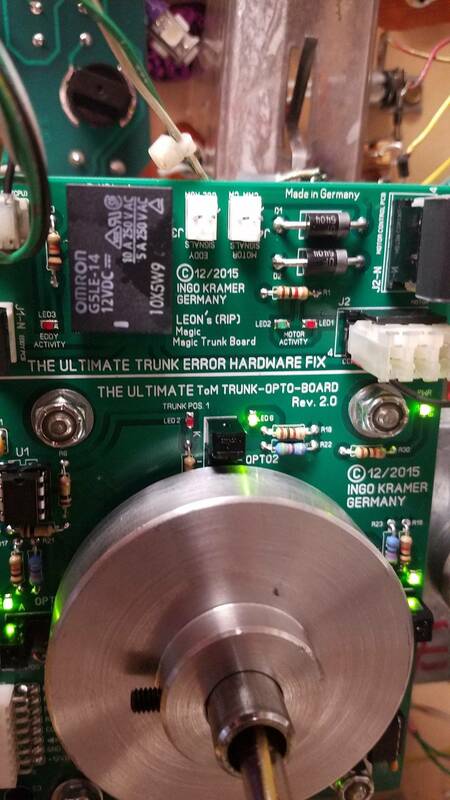 Just as the clock board in my TZ runs error free, this trunk board is a game changer for TOM owners. Got my board super fast. Just installed it and it's playing great. Super impressed by the build quality of this board. What a great investment to make in this machine. Can't imagine why every TOM owner doesn't install one. Thank again Ingo! I thank you very much for the praise and feedback, my friend!!!! 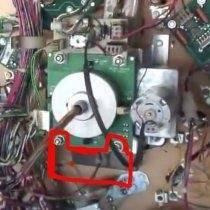 Seeing that huge crack in the black plastic opto interruptor I really think you should get the replacement one made in metal instead. 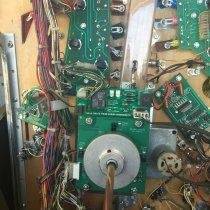 PM#d german-pinball for a Ultimate tom trunk opto board. 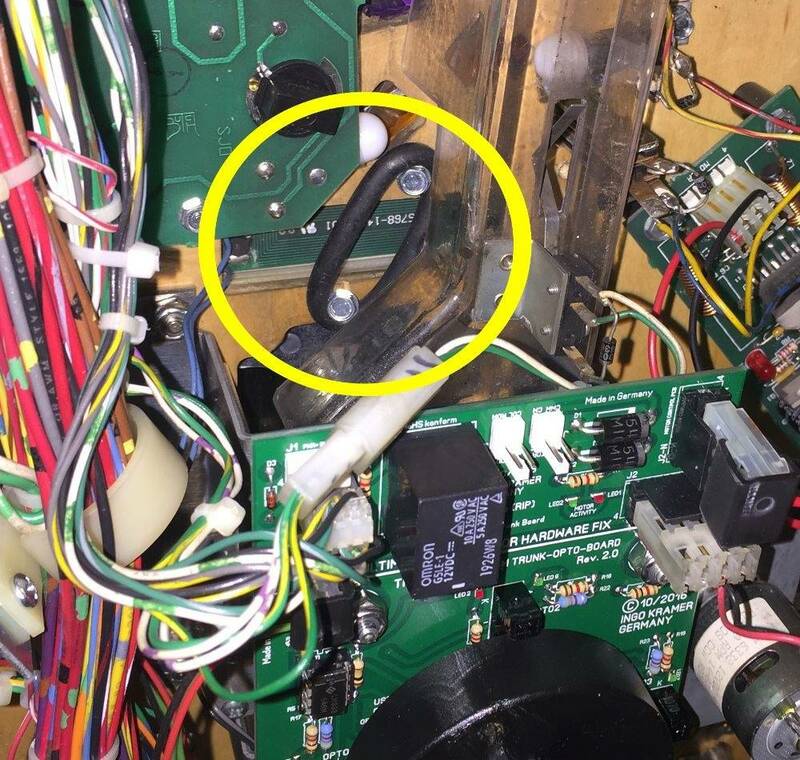 Has anyone had any contact with german-pinball recently?